Wesley So’s more than year-long collaboration with Vladimir Tukmakov came to end a few months ago, after Wesley’s team decided not to renew the contract. The 72-year-old Ukrainian Grandmaster, who previously coached Anish Giri for two years, reveals the story behind their success – Wesley went on an unbeaten run as he climbed to world no. 2 and won the Grand Chess Tour, Tata Steel Masters and US Championship – and how things later went wrong. Vladimir Tukmakov was a strong player in his own right, but he’s continued to blossom as a coach, captaining Ukraine to two Olympiad gold medals and SOCAR to the European Club Cup. As a personal coach he took Anish Giri to no. 3 in the world and is now fresh from taking Wesley So one step further. As you might imagine, it’s enough to write a book about, and Tukmakov is about to publish his fourth book, this time focussed on his work as a coach. That was the basis for a 2-hour Russian interview with Evgeny Surov of Chess-News.ru. Vladimir Tukmakov: In the Candidates Tournament that’s coming up literally in a few days, five of the eight players have been under my charge. Evgeny Surov: Then let’s name them. Let’s do that. Karjakin, Mamedyarov, So, Caruana, Grischuk. I’ve also spent no small amount of time with Aronian and Kramnik, but not as part of my job. Of course they weren’t in my teams, and I was never their personal coach, but our paths have crossed quite often at tournaments, we’ve chatted, discussed things. The only person I have only a very superficial impression of, both as a chess player and even more as a person, is the Chinese player Ding Liren. That’s no surprise. 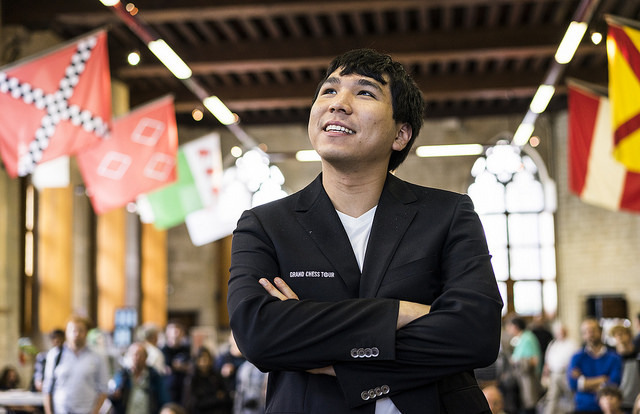 Perhaps we should then focus on one of the participants of the Candidates Tournament – Wesley So? Maybe not everyone recalls, or some never knew, but you worked with him. Are you still working with him, or did your cooperation end up being quite short? No, it didn’t end up being that short. Formally it lasted for one and a half years, though actually it was a little shorter. Officially it ended on the 31st December last year. But it should be said that during that year and a half Wesley So rose almost to the peak of his career. Yes, it worked out that way. When we started working together he was 10th, and at his peak rating he was second on the ranking list. If you take his starting rating and his peak rating then I think he added about 60 points. But still he decided to end things. Or which of you was it who took the decision? Yes, it was more his decision. The thing is - if we’re going to talk about my cooperation with Wesley – then from the very start it was somewhat surprising for me. And from the very start I was quite sceptical about that way of cooperating, since from the very beginning, the moment they got in touch, they talked about working by Skype. That’s quite a popular and widespread form of cooperation between a coach and a student nowadays. Firstly, it’s easier to implement, since such a way of working is easier to organise. Then, of course, it’s significantly cheaper for the person who has to pay for it. And in many cases, from my point of view, it’s no less effective than working in person. But in the given case, when after all we’re talking about a top-class chess player… it’s funny to call him my pupil, or me his mentor, never mind teacher. What can I teach a chess player who at that moment was tenth in the world? That meant you could only talk about some kind of nuances, but nuances, as a rule, are conveyed verbally, subtly, to extract some kind of resources from a person’s potential. For that, though, you need to spend time together. 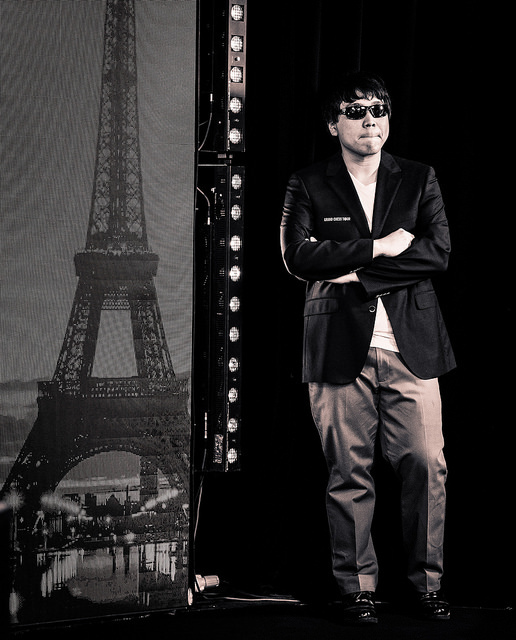 Moreover, Wesley So of course speaks English. I also speak English, but my English can in no way be described as fluent. Of course I can communicate, but my language isn’t good enough for subtleties. Never mind that in general he’s not in the habit of communicating with anyone. He’s used to spending all his time on his own, alone with the chessboard. That was also quite a serious challenge, both for him and for me. Therefore it was absolutely unclear what to expect from such a cooperation, with which we didn’t have any kind of experience. In general, I was unsettled by many of the circumstances. They were probably unsettled as well, so at first we agreed on ten 3-hour trial sessions. And it turned out, that… First of all, it all went very well. We both immediately felt pretty comfortable. He liked the sessions. Moreover, somehow, unexpectedly, they immediately converted into results, which is very important. I describe it in detail in my book, but to sum up, I think it was like this. In modern life there exists the concept of “an internet romance” – when people get to know each other on the internet, start to chat and feel themselves to be almost kindred spirits. And there comes a moment when you’ve acquired almost your closest friend, and things are easy and simple between you. I think that’s quite a widespread story. But inevitably, sooner or later, the next stage has to come – a face-to-face meeting. And I think the majority of such romances end at that stage, because some kind of relationship chemistry, which existed without direct contact, was destroyed as a result of the face-to-face meeting. That’s how it was for Wesley and me as well, it seems to me. I felt that communicating on the internet was nevertheless insufficient and that we should take the next step. And we took that step. 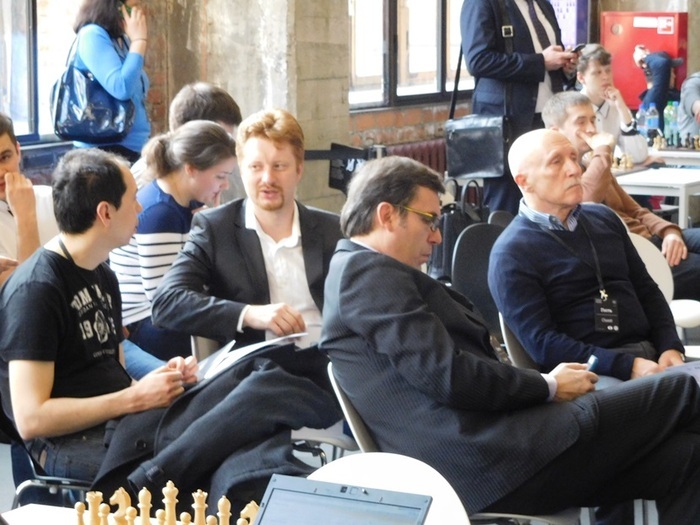 I took on the role of second – no longer in absentia, but in person – in the Kasparov series of rapid and blitz tournaments in Paris and Leuven last year. In Paris he played poorly in the rapid, and it somehow turned out that our usual system of preparing for games didn’t bring good results. And at some point he returned to his old, tried and tested system of preparation, where he prepared himself, took decisions himself and implemented his own decisions. And then, when we travelled together to Leuven, things went better for him. Naturally, if things went better, that’s how it stayed. So I was there, we talked, everything was as great and rosy as before, but we didn’t talk about chess. Then we continued to work, going back to the tried and tested system of training sessions, of communication – call it what you will. And then he collapsed in the tournament in St. Louis. It was a serious collapse. The history of his appearances in the Sinquefield Cup is very interesting. In 2015 he took last place; in 2016, when we were already working together, he took first place. And in 2017 he again shared last place. Well, overall it’s very tough (for you as well, I think), to formulate what went wrong. Of course, that’s just my guess. We didn’t have a special meeting devoted to clarifying matters and deciding what we should now do in the future. Our contract came to an end, and that brought an end to our cooperation as well. I hope that our relationship remains as good as before. In any case, we didn’t have any purely human conflicts. It was very interesting to work with him, because as a chess player and as a person he’s very unusual. But everything has a beginning and everything has an end. Do you consider So a real contender for the World Championship title? I’m now asking you not as his coach, but as a coach in general and as a chess specialist. No, on his own he got to the level of the Top 10. Once again, returning to Wesley and his similarities and differences with Anish, despite the striking similarity of their chess philosophies they have an absolutely different chess background. Anish is a wonderfully educated chess player. I’m talking now about the pure chess element, not touching on the rest. He’s a very well-educated chess player. He had coaches. He received, you could say, a higher chess education. In that regard Wesley is absolutely self-taught. And therefore, in contrast to Anish, he had gaps in his chess education. He worked on his own and, of course, it was chaotic. Perhaps that’s one of the reasons for our successful cooperation up to a point – it was interesting to him in a chess sense and he learned something new. But since he’s an incredibly gifted chess player and talented by nature, he nevertheless lapped it all up like a sponge. And naturally all of that was reflected in his results at some point, because with my help he filled in some gaps in his chess education. Previously, particularly for Soviet chess players (although now perhaps we’re getting lost in history), the Candidates Tournaments were absolutely special events. If you, as a Soviet chess player, got into the Candidates Tournament, then that put you in a completely different weight category from the point of view of chess politics as well. Nowadays the Candidates Tournaments are, essentially, just another supertournament. Therefore – take my word for it! 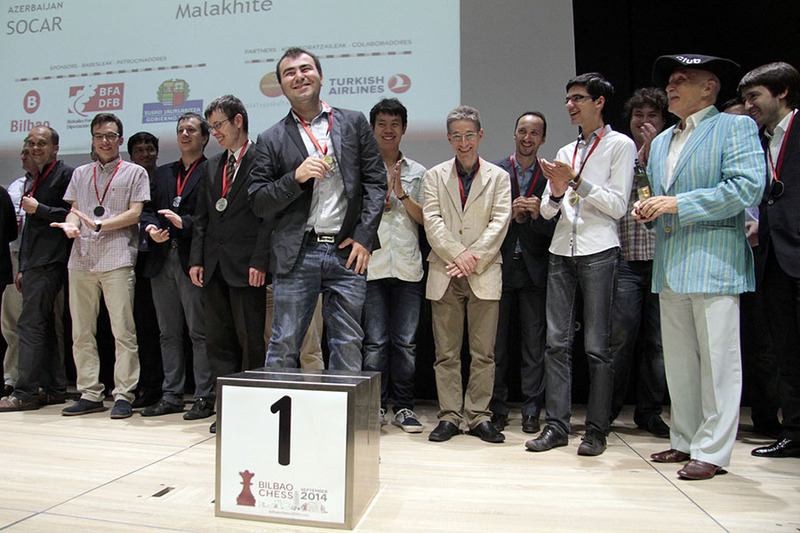 – far from all eight of the chess players got into the Candidates Tournament in order to fight for first place. They got in – and that’s great! That’s a line on their chess biography, that’s good prizes and the chance, if things work out, to fight for first place. But among the eight there are people who, from my point of view, approach it with the normal (in quotes or without) position, that first place is a special place. If you divide the candidates according to that principle, then that correctly focused group includes: Vladimir Kramnik, Shakhriyar Mamedyarov, Levon Aronian and, perhaps – although it’s hard to be 100% sure – Fabiano Caruana. The remaining four, from my point of view, don’t set themselves the goal: whatever happens, at any cost, to achieve first place - any place other than first is a catastrophe, a tragedy for me, and so on. But such an approach to the tournament also gives birth to other tournament tactics. Naturally the people for whom only first place exists and who are focused on the fight only for that, will take more risks. Among those four there are two clearly defined, to use (Russian) snooker terminology, serial players. A serial player isn’t simply a player who plays for a win in matches, but one who’s capable of potting a lot of balls in a row i.e. making a precise series – and does that exceptionally. So there are at least two such serial players – Levon Aronian and Shakhriyar Mamedyarov. You mean that by analogy they can win a few games in a row? Yes. If they’re in the mood, if it turns out that they came to the start of the tournament in optimum form, then they can set the pattern of the tournament, give it a special mood. For instance, if one of the grandmasters scores 3.5/4, then that will completely alter the course of the tournament. On the other hand, these so-called serial players, if they’re off their game, can easily end up as outsiders. On yet another hand, if there’s a tight, tense struggle and a big group of players reaches the finish line together, then the chances for those players not focused on first place will grow. Sergey Karjakin, for instance. So if with two rounds to go everyone will be in the same group, on +1 or +2, then his chances will, of course, be pretty high. Given that chess players from that first group will start to take risks. Not only because of that. Here his cold-bloodedness, his calm and his pragmatism will have much greater significance at the finish in the situation we’re discussing than in the situation where one or two people break clear from the very beginning. In that case the chances of So and even Ding Liren will also dramatically increase i.e. an awful lot depends on how the tournament begins, the character of the tournament and, correspondingly, the favourite. But in principle the tournament is very, very balanced.